You want to experience a marathon but running the entire distance is too long for you? 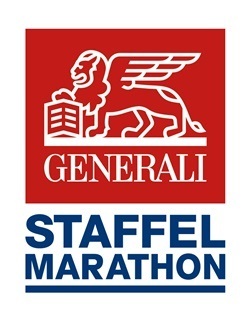 A solution for you could be being part of a relay team at the Generali relay marathon. Run with your colleagues, your friends, your family or members from your sports club. Each team consists of four members each running part of the whole distance. (Runner 1: 12,9k, runner 2: 6.1k, runner 3: 9.5k, runner 4: 13.5k).